I am available to do private spinning lessons and group workshops in Western Washington. 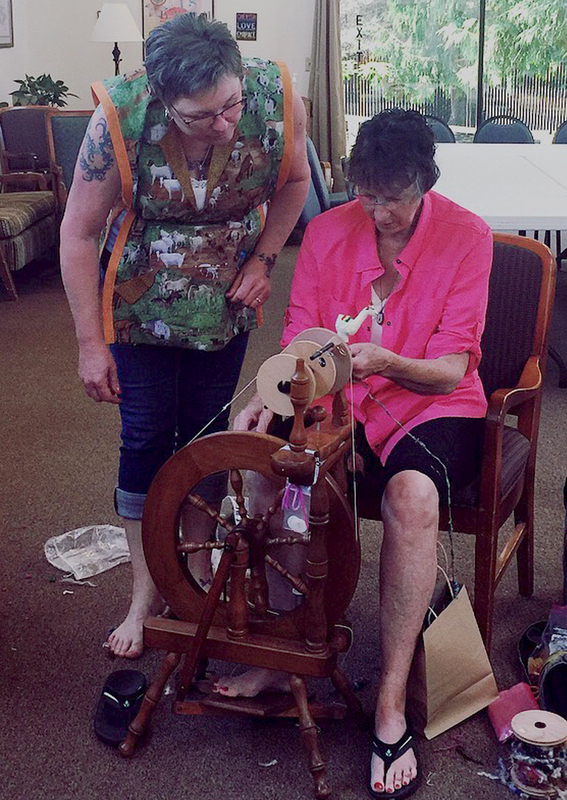 Let me know if you are interested in setting up a workshop or looking for spinning lessons. 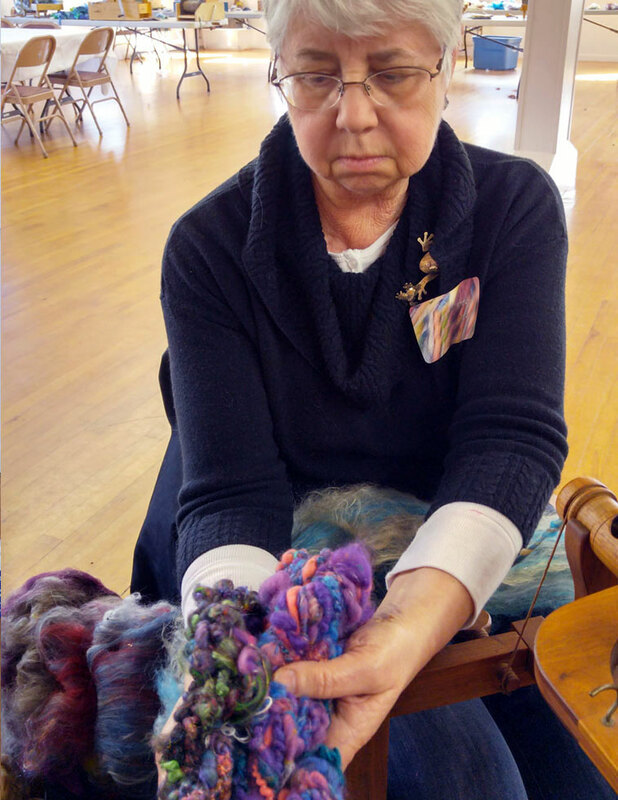 We will be concentrating on core spinning with and without a core thread then we will learn several ways to ply the core yarns to get some extremely textured yarns. We will be using a mixture of fibers and embellishments. Lastly, you will learn the best way to set the different types of yarns and the different ways you can use your beautiful textured art yarns. Travel time, if needed, not included. 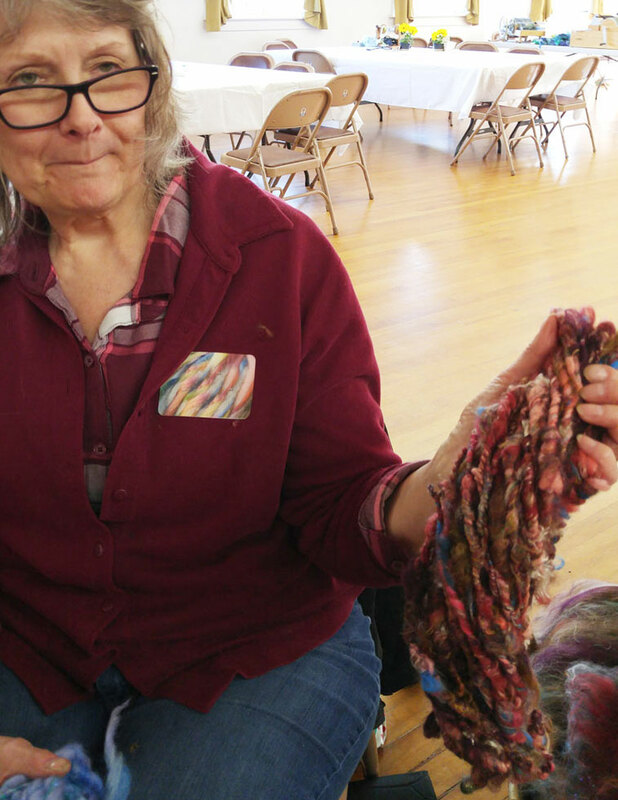 Learn to spin your own yarn with a spinning wheel! 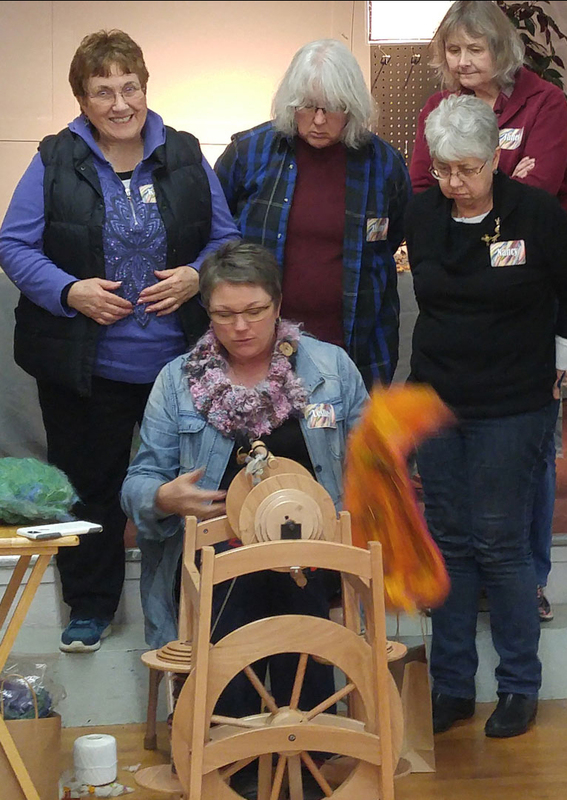 First Leslie will explain the basic mechanics of a spinning wheel, and go over different fiber types. 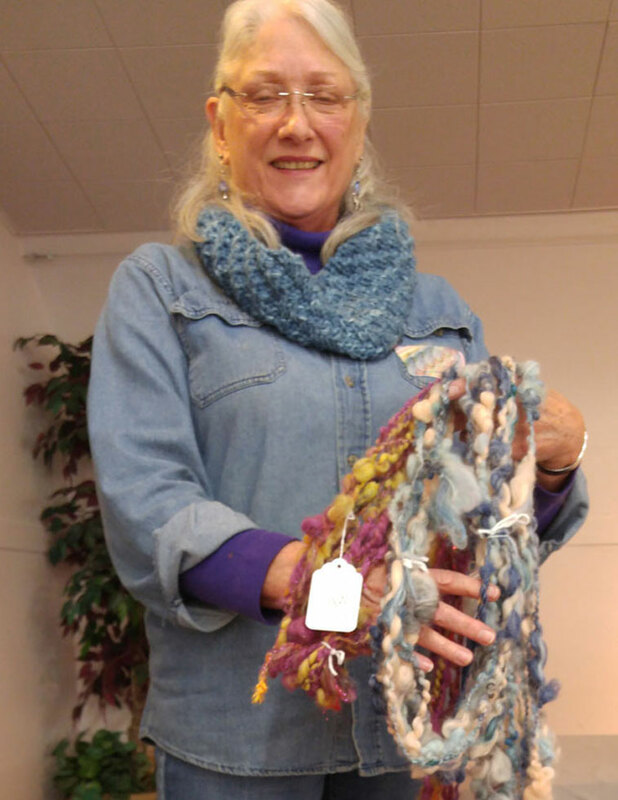 Then she will walk you through all of the steps to help you create handspun yarn. 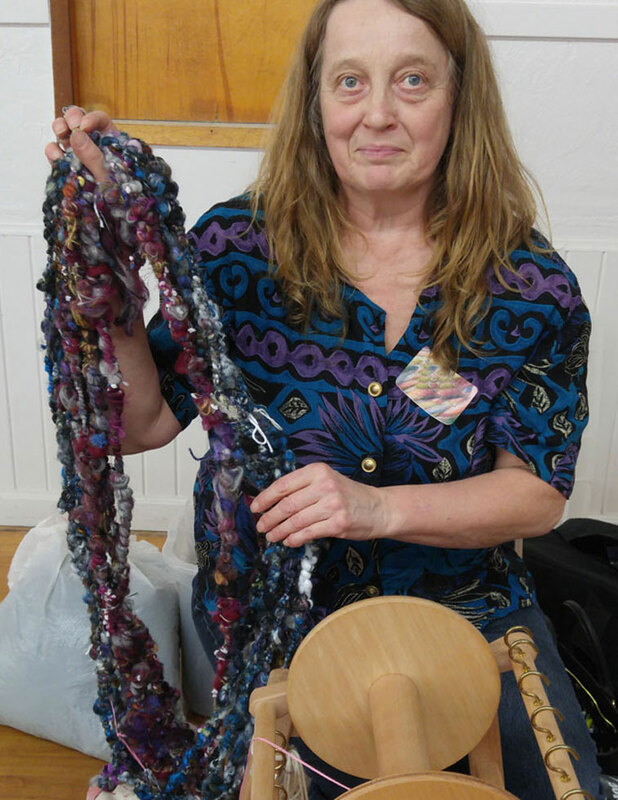 After you’ve finished the spinning process, she will show you how to ply your yarn. When you are done plying, Leslie will explain how to finish your yarn. Equipment Needed: spinning wheel, extra bobbins, lazy kate, niddy noddy. *you may bring our own fiber and waive the materials fee if the fiber is good quality.